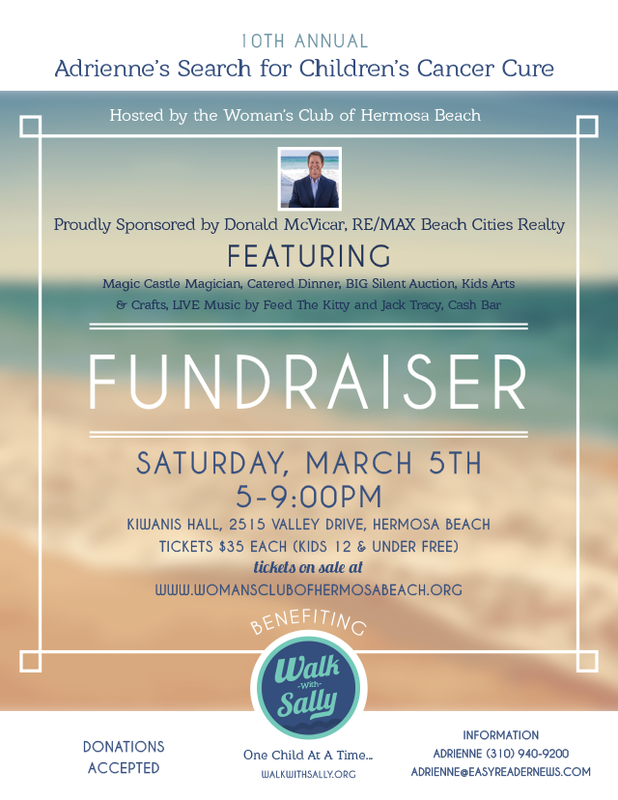 We are beyond honored that Adrienne Slaughter and the Woman’s Club of Hermosa Beach has chosen Walk With Sally as the beneficiary for this year’s Adrienne’s Search For Children’s Cancer Cure! Walk With Sally Founder, Nick Arquette will be making a special presentation alongside current mentee, Marley, and her mom, Nora. If you are in town, be sure to join us on Saturday, March 5th! Tickets are going fast, so be sure to get yours today, you won’t regret it! This entry was posted in Events, WWS News. Bookmark the permalink.